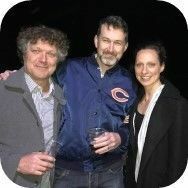 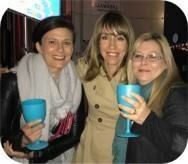 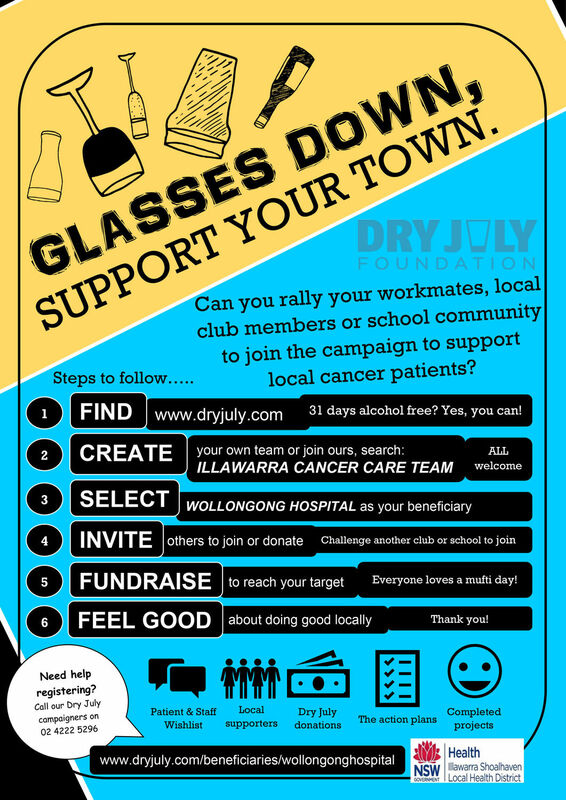 Sign up to Dry July Australia 2018 and raise funds for Wollongong Hospital. 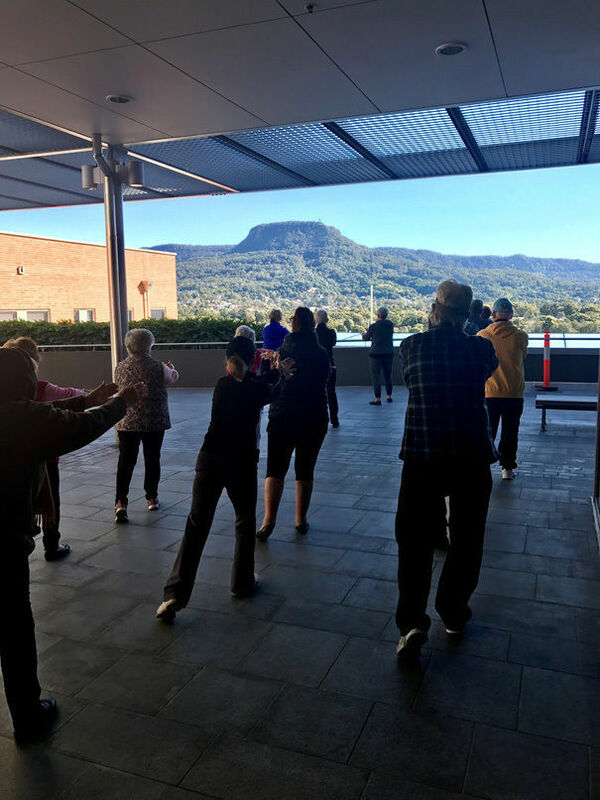 The Wollongong Hospital is home to the Illawarra Cancer Care Centre and Cancer Inpatient Ward which provides cancer treatment and support services to patients living in Wollongong, Shellharbour and Kiama regions. 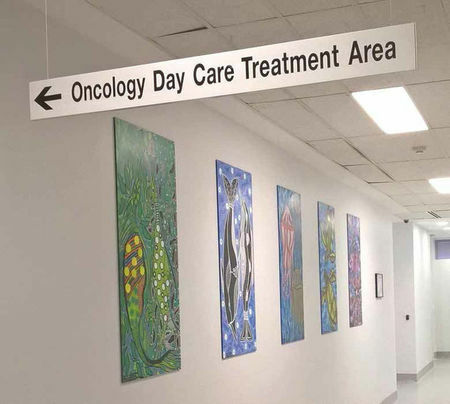 With 2018 Dry July funding we hope to continue to deliver the ‘Living Well with and After Cancer’ programs, further improve patient spaces in and around the Centre (including the gardens and the Level 0 entrance), introduce drop-in monthly wellbeing workshops and cover printing costs for the Aboriginal project ‘My Patient Diary’. 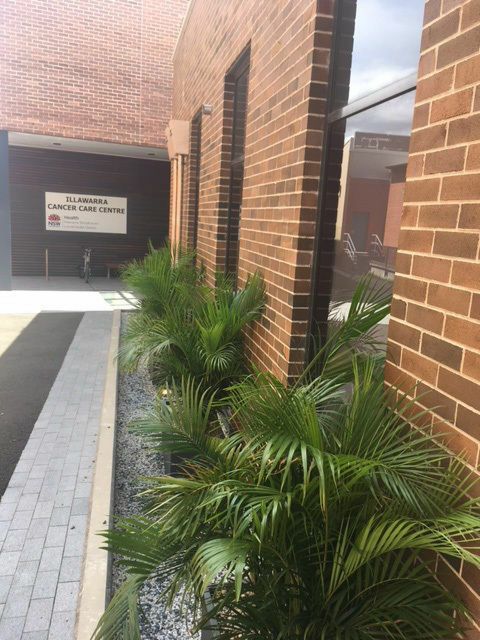 With this in mind, we will continue to explore suggestions from patients on what they feel would improve their experience both at the Centre and on the Ward. 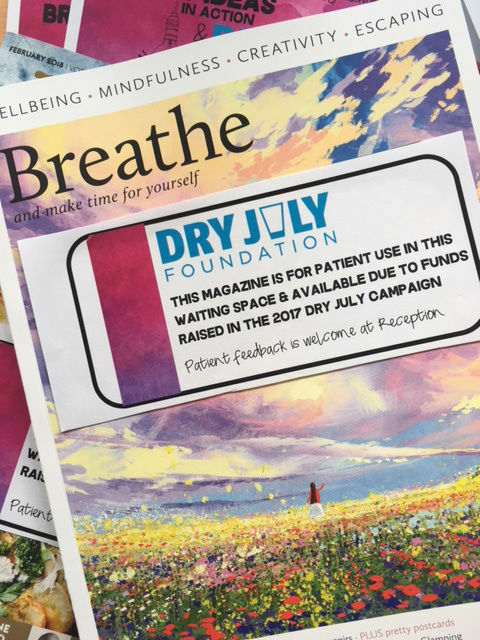 We're proud to announce that Wollongong Hospital has received a grant from the Dry July Foundation 2018 Grant Program. 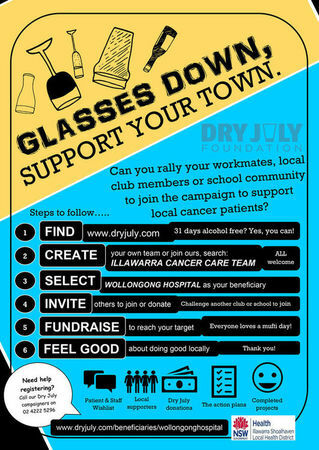 Sign up to Dry July on Wednesday 13 June in the Foyer at Wollongong Hospital Foyer! 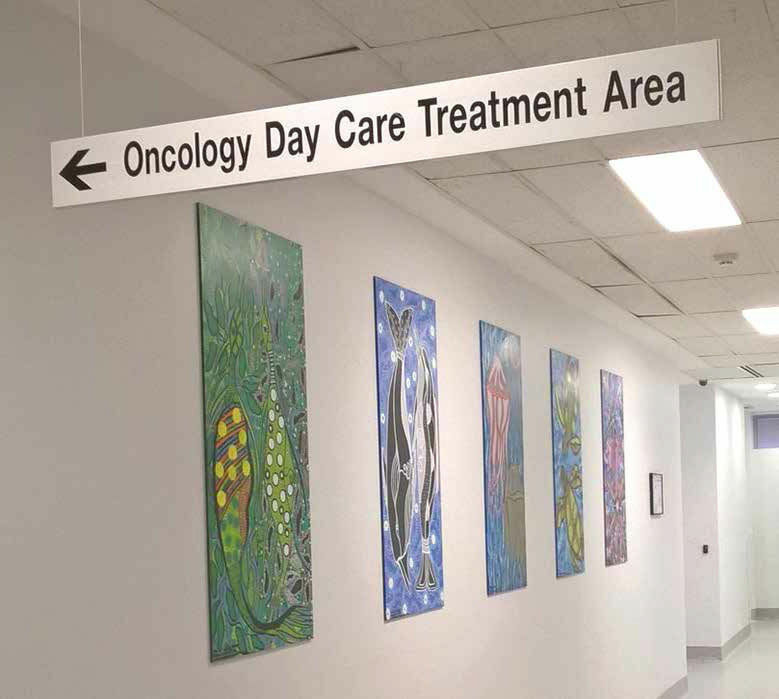 Wollongong Hospital plans for Dry July funds in 2017. 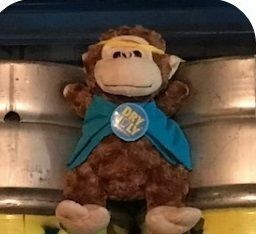 Plus meet their mascot, schoo-na.